The Football Kenya Federation Electoral Board has accused incumbent chairman and his team of planning to scuttle the election process . 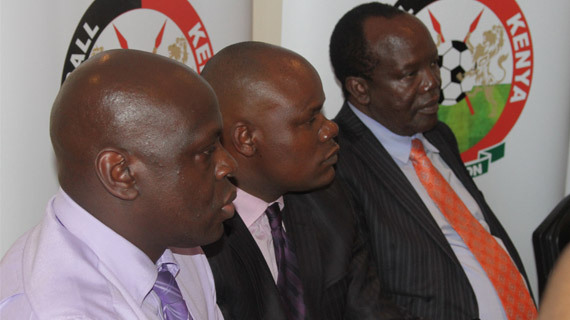 In a statement on Wednesday , the board has accused Sam Nyamweya of attempting to confuse the process with a directive that the election of the sub branches be held on 28th October and nomination fees paid on FKF Account. "This is contrary to earlier notices sent by the electoral board postponing the elections that shall start on 26th November 2015 for Sub branches election, 3rd December for Branch elections and followed by the National Elections on 10th December 2015." The board lamented in the statement..
"The said notice is therefore illegal and FKF Secretariat or the President has no mandate to handle election. In addition the election board was given its mandate by AGM which is superior to National Election Council and the President of FKF. It should appear that it’s the intention of the president and FKF Secretariat to scuttle election and the Electoral board wishes to assure all aspirants and stakeholders that the situation is in control and the Electoral board is in charge of ensuring the delivery of free, fair, and credible election." The board has further urged candidates not to pay their nomination fees to the federation as instructed by FKF Secretariat but instead send money to an electoral account.